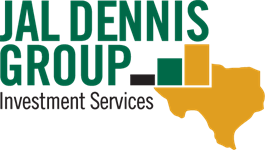 Jal Dennis established the Jal Dennis Group in 2008 after serving for several years as a top financial advisor with Edward Jones. Transitioning his business to his own firm was an exciting time and became the catalyst for what would eventually become a family-run office. During this transition period, Jal’s son, Trace, assisted him with the transfer process as a summer intern. As a college student working toward his Bachelor of Business Administration and Accounting at the University of New Mexico, Trace recalls how well he and his father worked together and hoped for a professional collaboration in the future. 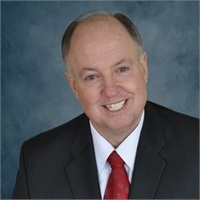 After obtaining his degree, Trace worked as an accountant for five years prior to joining the Jal Dennis Group in 2014. Jal’s investment industry experience of over 20 years combines well with Trace’s background in accounting to deliver comprehensive financial planning services to individuals, families, and businesses. The evolution of the Jal Dennis Group is certain but the values and commitment of the firm will always remain the same. With a fierce dedication to serving the best interests of their clients, Jal and Trace look forward to experiencing how the rest of the story unfolds at the Jal Dennis Group. Please check out all the materials on our website. If something prompts a question, please send us a quick email or call my office. We look forward to speaking with you.